The Tuscan is rustic and relaxing. 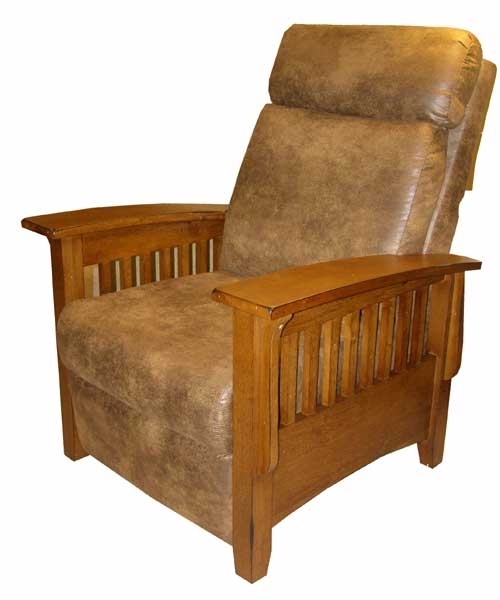 This mission style pushback recliner offers the solid, handcrafted look of the mission design philosophy. The Distressed Pecan finish gives the wood paneling a warm feel that will accent the fabric or leather covering of your choice for the supportive cushions. Not only does this offer the style appeal of mission style furniture, but has the outstanding comfort that a recliner offers.